copyranter: Jewish fraternity's rush flier is very Jewy. Perceptions of Ad Agency Employees. 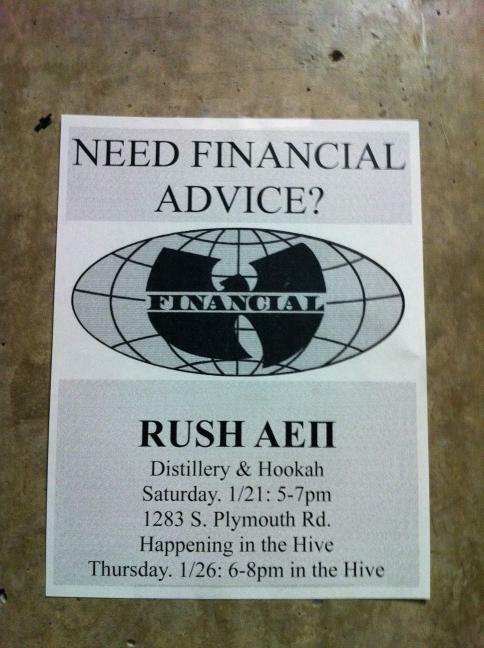 Jewish fraternity's rush flier is very Jewy. 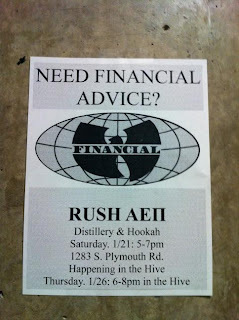 Fliers on the University of Rochester, NY campus for the AEPi frat. That advice ain't free either, Frosh. Thanks Erica. Previously: Dubai gym ad laughingly uses Auschwitz visual. Wu-Tang Clan ain't nuthin' to futz with, apparently. Yes, I got it. So, G Jews. Wu-Tang and a hookah bar? That ain't financial advice they be handing out. 420.